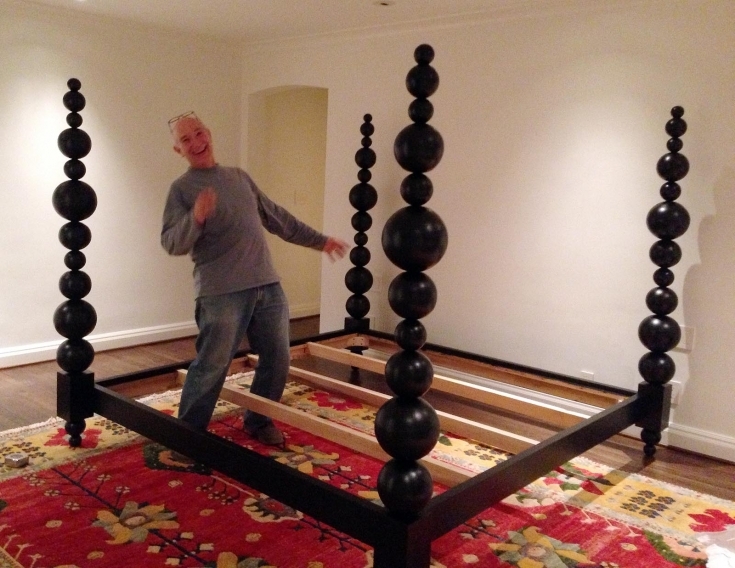 I promised my wife Linda that I’d complete a king-size bed for Andy’s room before Andy and Lauren arrived home for Christmas. This was an interesting project. 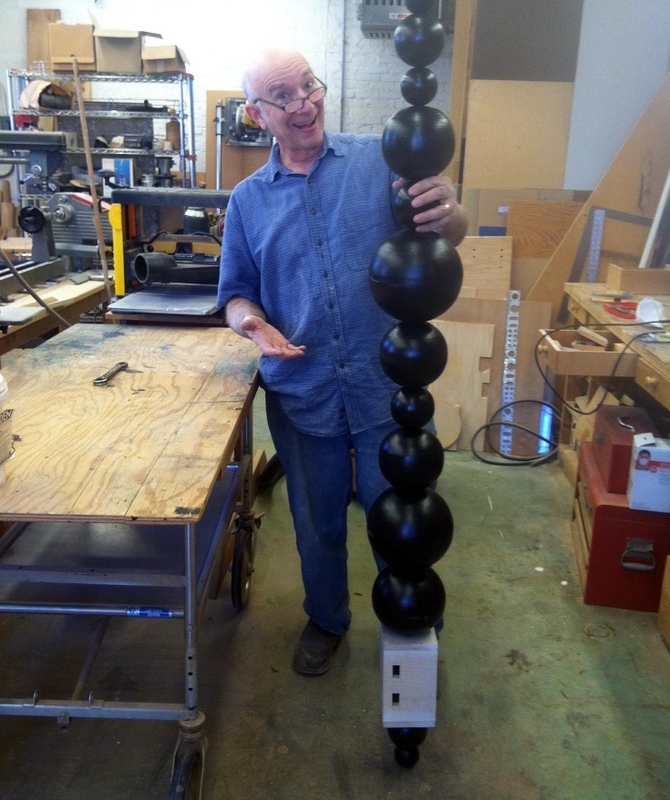 The idea was to make a mortise and tenon bed frame to support a plywood platform and memory-foam mattress – with fabulous stacked spherical posts. 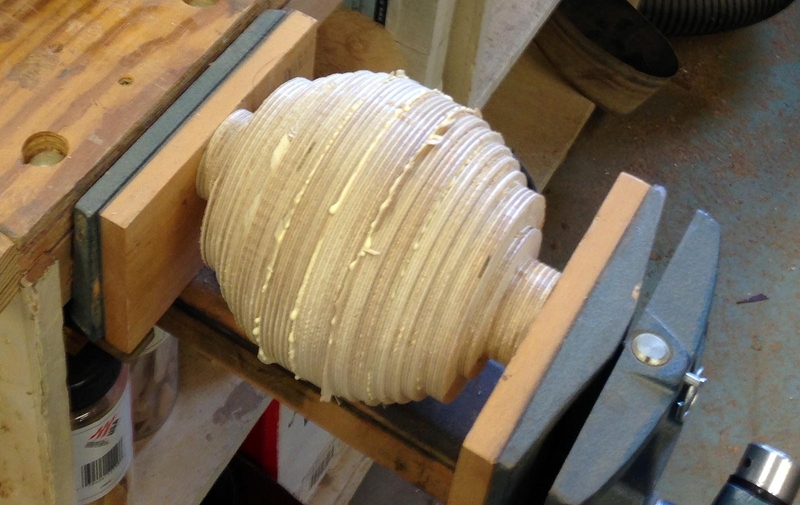 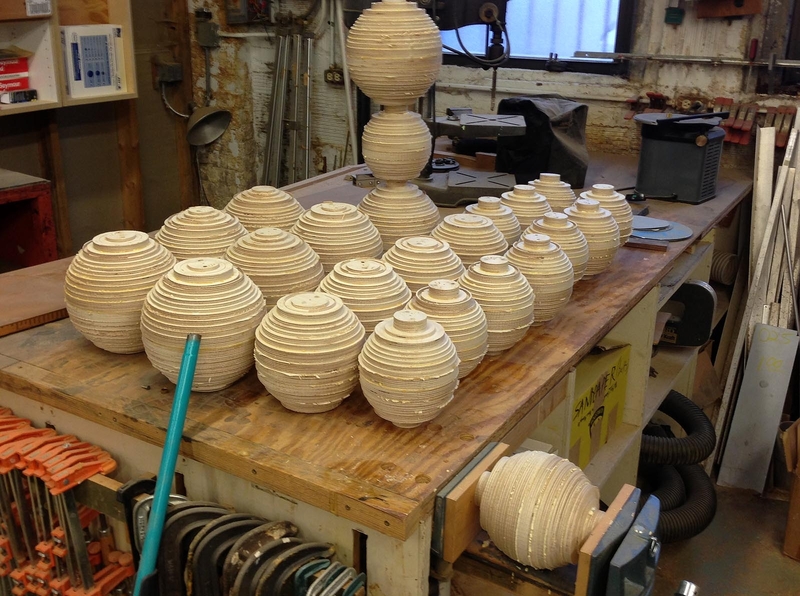 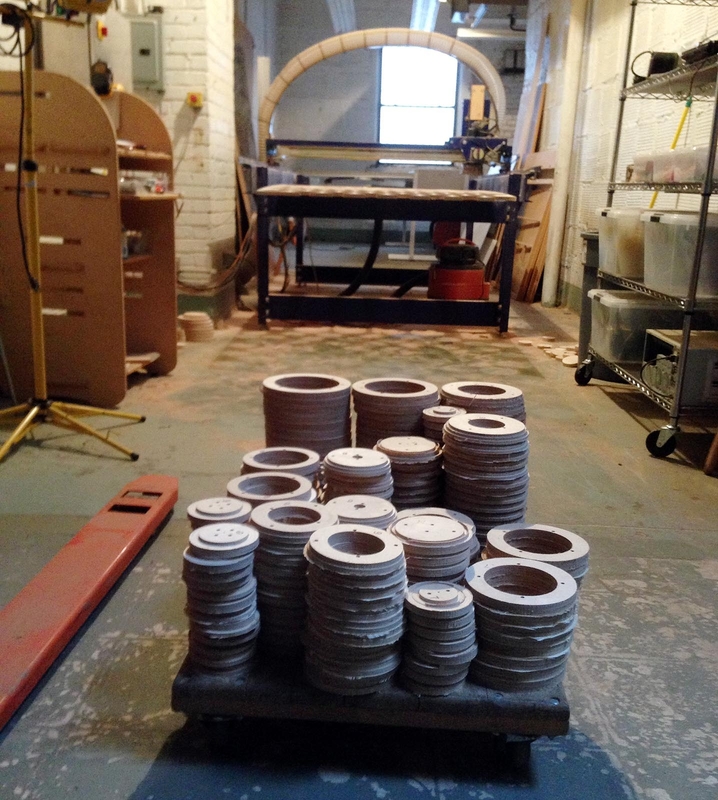 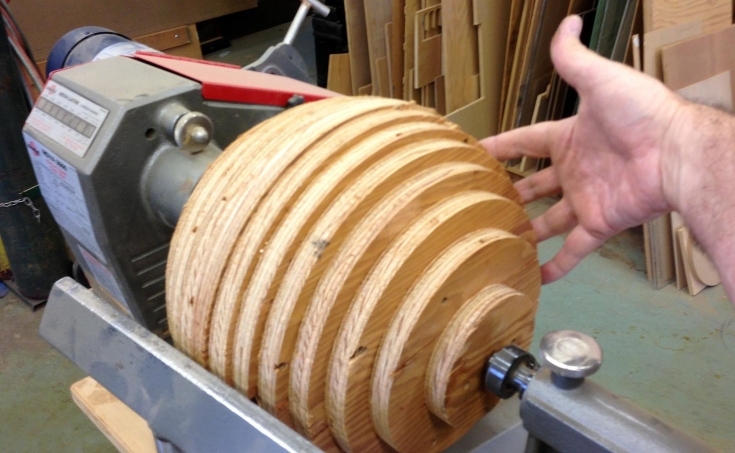 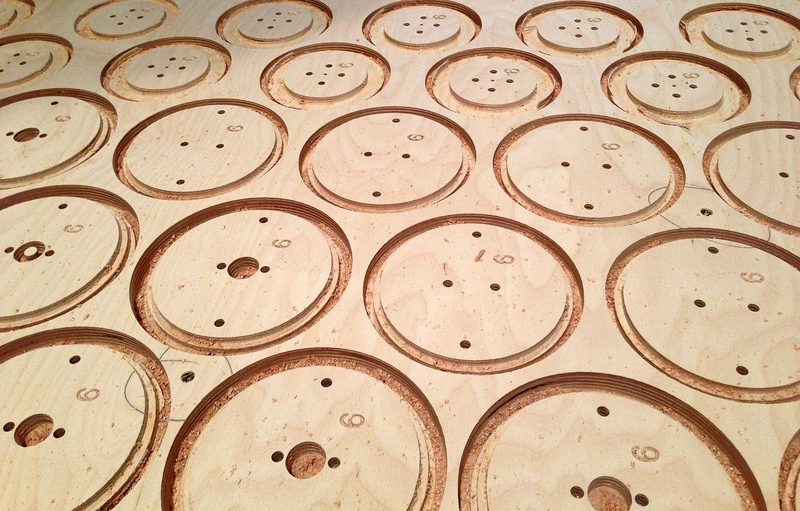 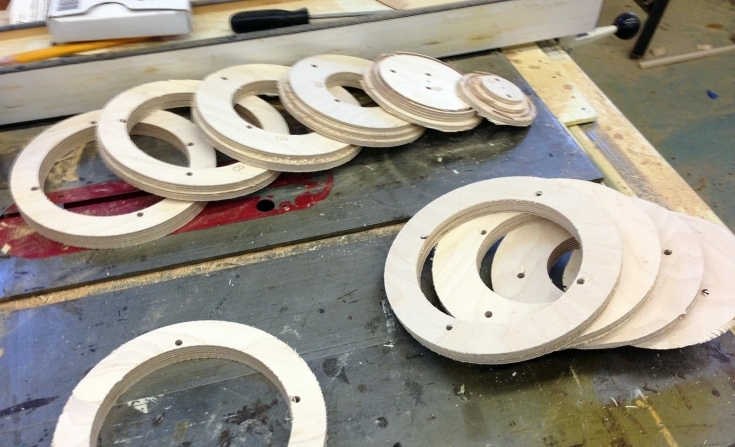 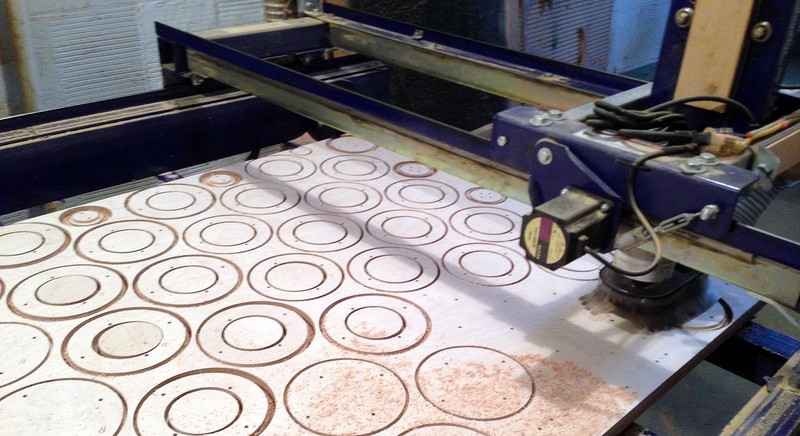 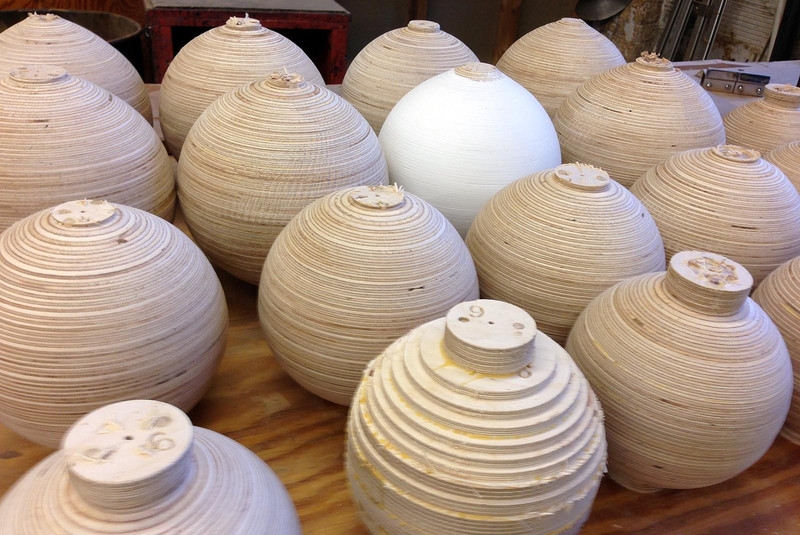 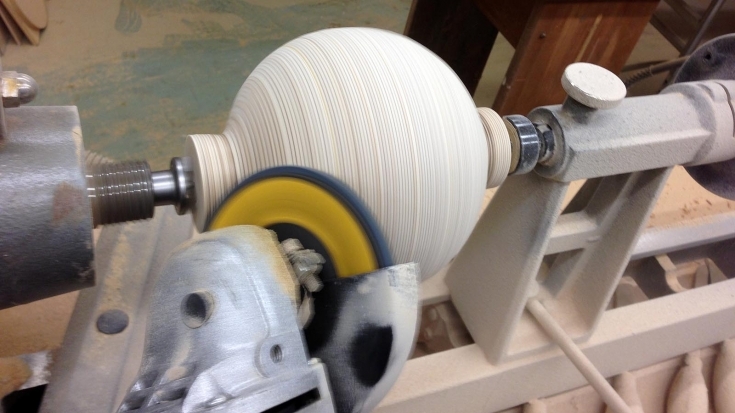 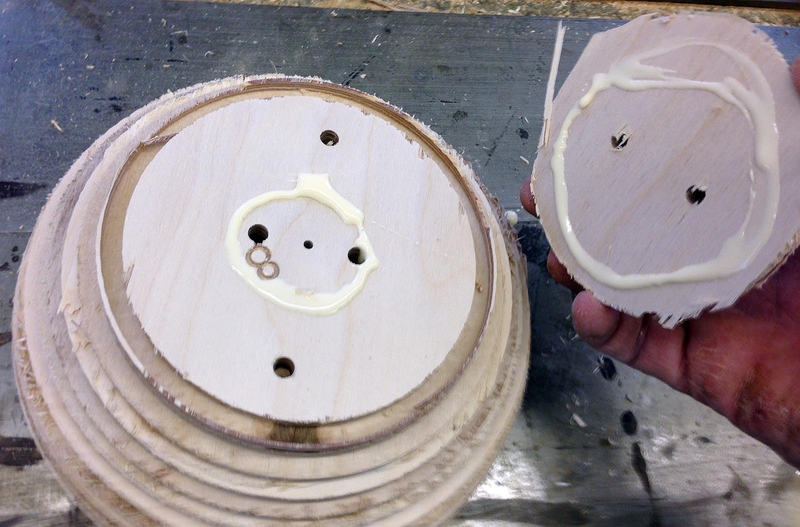 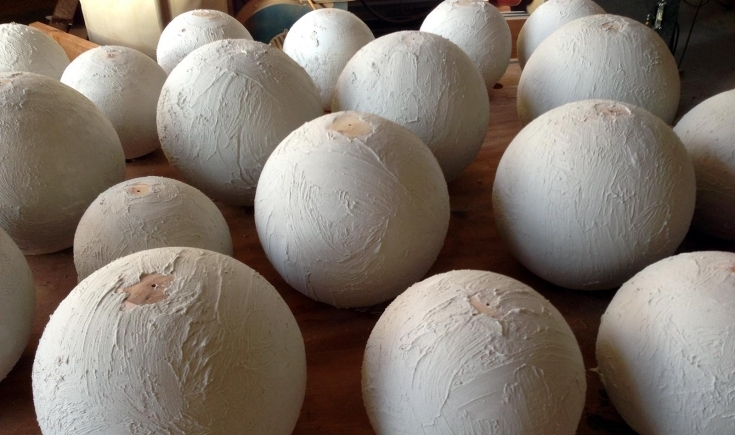 The spheres would be laminated plywood rings, turned round on the lathe and threaded onto 3/4 inch all-thread rod. 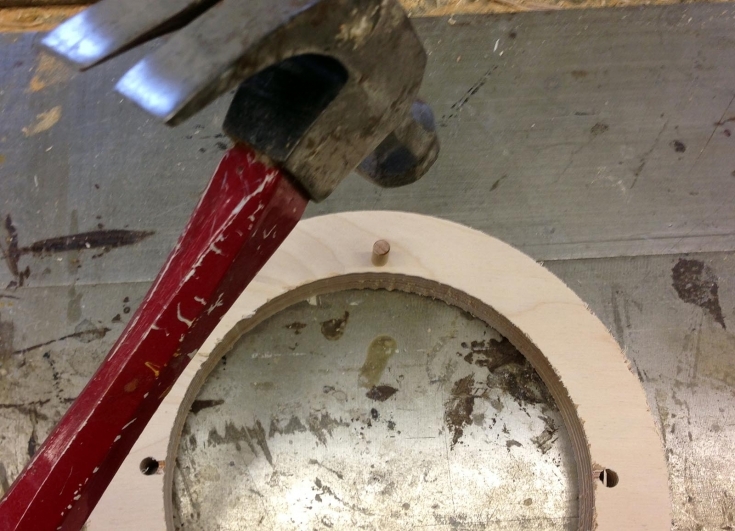 Worked out well! 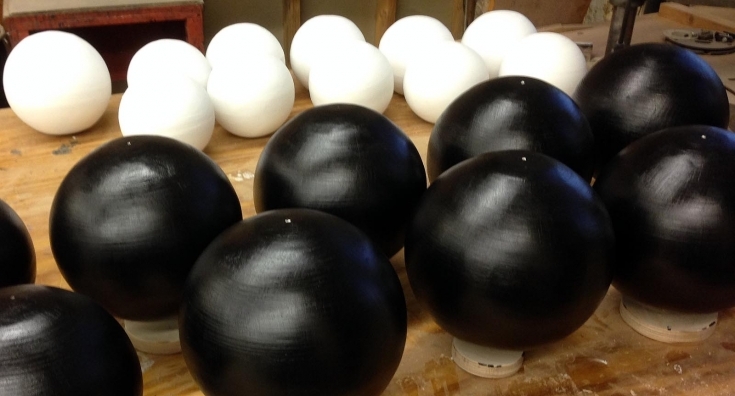 Thanks to my intern, Madeline Cass, for assisting with priming, transportation, and assembly! 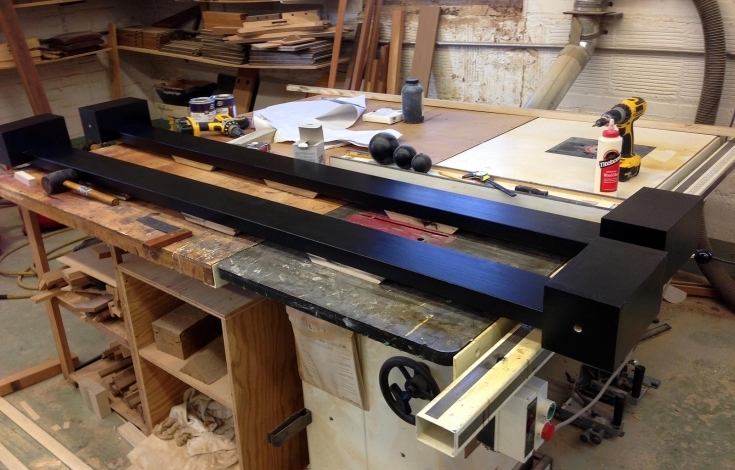 building the poplar rails joined into rectangular solid baltic birch plywood - rails have tenons, plywood is mortised.